Ukrainian President Petro Poroshenko has called on Maltese companies to expand their business presence in Ukraine. "We invite Maltese companies to expand their business presence in Ukraine, their activities in Ukraine, and to launch new projects," he said during the Ukrainian-Malta business forum in Kyiv on Tuesday. Poroshenko said that all talks with representatives of Malta brought important results and also expressed confidence in the excellent future of the Ukrainian-Maltese investment cooperation. 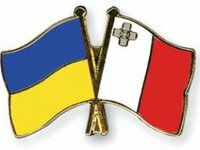 According to an Interfax-Ukraine reporter, during the business forum the chambers of commerce and industry of Ukraine and Malta signed an agreement on the creation of the Ukrainian-Maltese business council. According to a press release by the Ukrainian Chamber of Commerce and Industry, in January-June 2017, mutual trade in services amounted to $84.9 million, or 10.1% ($7.8 million) more than in the same period in 2016. Exports of services grew by 12.5% ($5.6 million), to $50.5 million, while imports rose by 6.7% ($2.2 million), to $34.4 million. Ukraine's surplus of trade in services amounted to $16.1 million. Ukraine exports mainly IT services (70%) and transport services (23.5%) to Malta, while importing travel-related services (98.7%). As of July 1, 2017, direct investment from Malta in the Ukrainian economy (in share capital) reached $58.5 million (Maltese investment accumulated in Ukraine has grown by $1.6 million since the beginning of the year).